The AIIM (Association for Information and Image Management) Certified Information Professional proves an in-depth knowledge of all the key areas of information management and governance. Certified Information Professionals have comprehensive knowledge of information capture, search and retrieval, process and case management, retention and archiving, and records management. The Project Management Professional certification from PMI (Project Management Institute) is the industry-leading project management qualification. Achieving this certification demonstrates the ability and experience to manage large, multifaceted projects, delivering on time and on budget. Certified Scrum Master: Certification for managing teams in Agile development environments using the SCRUM agile methodology. At Gingertec we use agile methodologies on all of our projects because they have been shown to deliver higher quality products to the customer in a shorter time frame, and at lower cost. EMC Proven Professional: Certification in the installation, configuration, and customisation of the Documentum content management platform. 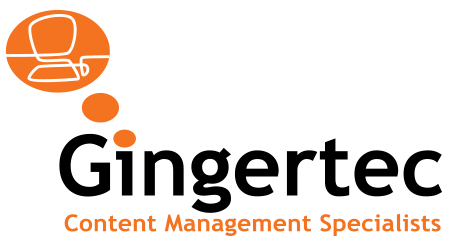 Gingertec has implemented Documentum-based content and document management solutions for a number of large international clients. Having the certification reassures those clients of our competence to undertake such a project. Bonitasoft Partners: Gingertec are partners for the Bonitasoft suite of business process management software. As an element of this partnership a number of our staff have been certified in the Bonitasoft platform. 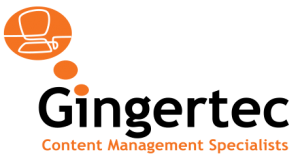 Gingertec entered into this partnership to offer a quality business process management tool to our customers, where the primary requirement was process, rather than content, management. Professional Membership of AIIM – The Global Community of Information Professionals: AIIM’s Professional Membership grants unparalleled access to all of AIIM’s industry resources and to an advisory group for guidance. Gingertec has access to an arsenal of toolkits, presentations, and reports, as well as AIIM’s in-depth article collections, checklists, templates, and more.